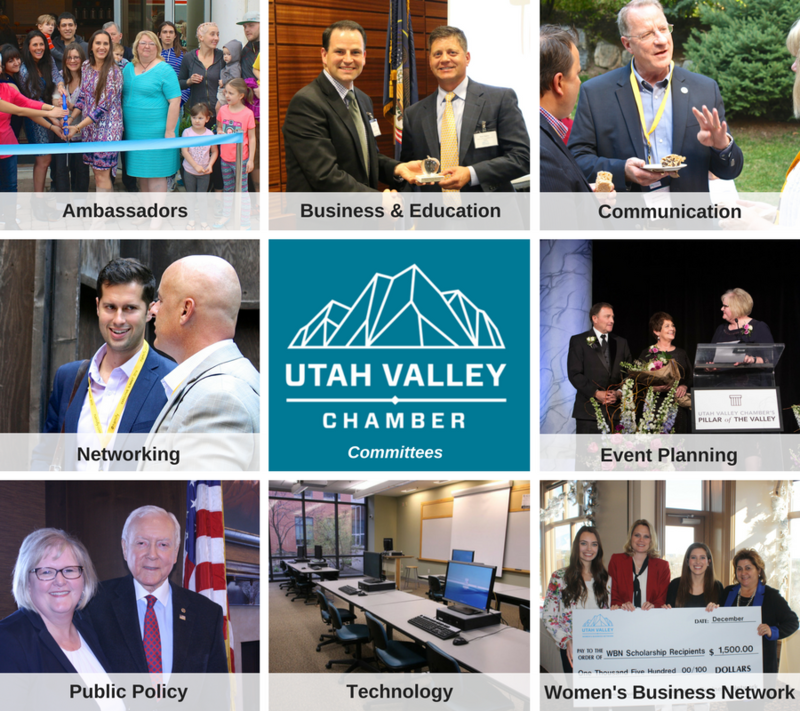 The Utah Valley Chamber is a member-driven organization whose mission is to build relationships, advocate principle-based public policy, and promote business and community prosperity. Committies are a crucial part of delivering the chamber's mission. You can be a part of this great movement. Join a committee and get involved! Contact the chamber at 801-851-2555. We build bridges between our elected officials and business leaders in our community. Our dynamic Public Policy Committee hosts regular meetings throughout the year with local and state representatives to shape policy and protect business. Meeting the mayor over breakfast is a great way to discuss business concerns and become more informed. Eggs and Issues is a breakfast meeting hosted by Intermountain Healthcare and is open to all members of the Chamber. It is held three times during the legislative session and is a popular platform for meeting with legislators. This committee works to improve education and workforce development in the valley at all levels, implementing Chamber programs for education and facilitating a strong relationship between education and business. The Women’s Business Network’s (WBN) mission is to empower professional women by promoting business connections, encouraging diverse personal and professional networks, and providing development opportunities. All female Chamber members or employees of member businesses are eligible to participate in WBN. WBN luncheons are held on the 3rd Thursday of each month at various restaurants and businesses. All sponsorship funding in WBN goes to support scholarships for local female business students at both BYU and UVU. This committee ensures the Chamber will provide value to existing members as well as recruiting and engaging new members of the chamber. The Ambassadors fill two major roles: they are the welcoming arm of the Chamber, and engage business in the community through recognition programs, volunteer work, and community events. They promote new businesses to the public through ribbon cuttings, grand opening celebrations, and create a positive environment for business in Utah Valley. Ambassadors handle new member visits, a membership luncheon once a month, and all welcoming activities. They also volunteer at various Chamber events. This committee ensures information from the Chamber regarding policy initiatives, business opportunities and community development is distributed effectively to the Chamber membership and the general public. Responsibilities- Monitor and protect Chamber branding and shape Chamber messaging. Join a committee and get involved! Contact the Chamber at 801-851-2555.